EMC says enterprises like its XtremIO all-flash storage array, so in version 4.0, the company is offering more of it. The latest software for the product it introduced in 2013 will let customers tie together more systems in a cluster and also include new features for replication, copy management and other capabilities. It’s due out by the end of June. XtremIO 4.0 is a free software upgrade that will automatically boost scaling ability for clusters already in the field. Users who want to invest in new hardware will have another way to increase capacity, by using a new, higher capacity version of the X-Brick, the basic building block of an XtremIO system. Customers will be able to order that product by the end of June, though EMC hasn’t said how much it will cost. As an all-flash storage platform, XtremIO is designed to push data to applications at high speed and carries a price premium compared with slower disk-based systems. But EMC says it makes all-flash data centers feasible, letting enterprises give all their applications fast data access. The company claims more than 1,400 customers, including more than 40 percent of Fortune 100 companies, are using XtremIO. 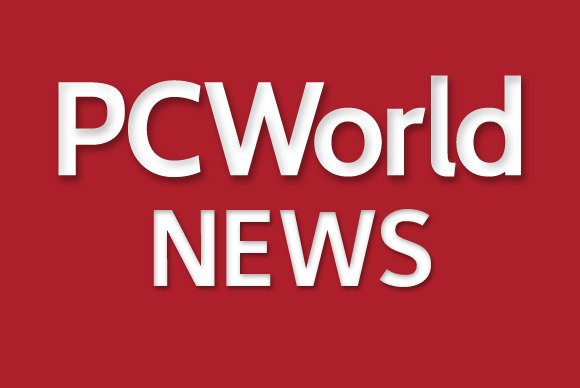 The update debuts Monday at EMC World, the company’s annual show in Las Vegas. As an old-guard storage giant, EMC faces winds of change from startups in flash, software-defined storage, hyperconverged systems and other emerging markets but isn’t standing still. Its acquisition of startup XtremIO about three years ago looks to have been a success in the growing all-flash array business. According to research company IDC, EMC led the all-flash market in terms of revenue in the first half of 2014, the last time IDC made rankings. However, IBM shipped more capacity, with EMC a not-very-close second, IDC analyst Eric Burgener said. An XtremIO system starts with one X-Brick, which consists of flash drives and a pair of controllers for redundancy. All the hardware is commodity and the added value comes from EMC’s software. Users increase the capacity of their systems by clustering X-Bricks together. The current software lets them combine six X-Bricks, and XtremIO 4.0 will increase that to eight. The new hardware means any size cluster can pack in more data. The next-generation X-Brick has twice the density of the current component, for a capacity of 40TB. Combined with the larger cluster size that’s possible with the new hardware, the largest possible cluster moves up from 120TB to 320TB. EMC is also bringing native replication to XtremIO, thanks to a speed boost for the company’s RecoverPoint software that will let it keep up with the speed of the all-flash platform. The new replication capability in XtremIO 4.0 can create a replica as frequently as every 60 seconds, EMC says. That’s replication between two XtremIO environments with a high-speed network in between. RecoverPoint can also replicate a portion of XtremIO data to other types of backup arrays, though potentially with less frequency, said Josh Goldstein, vice president of marketing and product management for XtremIO. One other enhancement coming in XtremIO 4.0 will let enterprises more easily create extra copies of their data for tasks like testing and development. This new copy data management capability allows for as many as 256 copies of a given set of data, which in-house developers may need for rapid and repeated testing on multiple virtual machines. Rather than having to copy the data itself from primary storage, XtremIO’s copy data management software deduplicates the data and creates pointers in metadata. Copies can be made just by using those pointers, a more efficient process, Goldstein said.